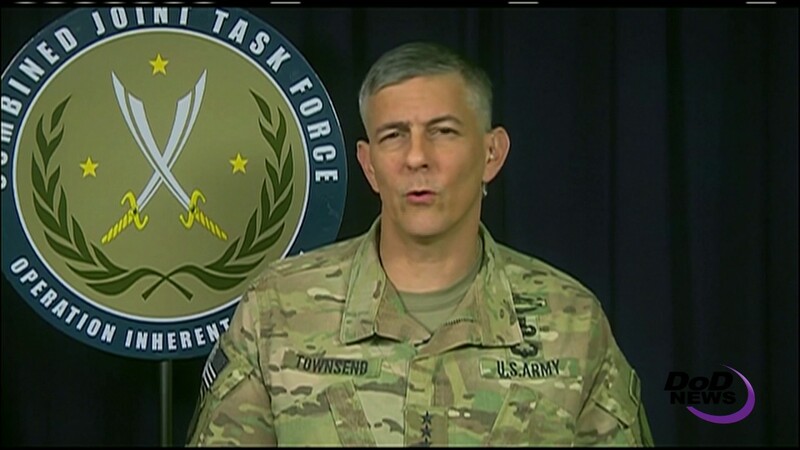 Speaking to Pentagon reporters via teleconference from Baghdad, Army Lt. Gen. Stephen J. Townsend said Iraqi forces attacked the city’s west side northward along the Tigris River, where they captured high ground, enabling them to move quickly to the airport. “Now, they've begun breaching into the outskirts of the city, with the Iraqi counterterrorism service, federal police and army moving along three axes of advance that clear the enemy from neighborhoods inside the city, but also enveloping the city to the west,” the general said, adding that presenting multiple dilemmas to the enemy proved to be effective. ISIS has been dealt another significant blow in Syria, where Syrian Democratic Forces have liberated Bab, the last significant ISIS-controlled population center in the Aleppo district, Townsend said, noting that freeing Bab closed the door to ISIS’ supply line of new fighters and its ability to export terrorists around the world. “The coalition supported Turkey and their partner-force efforts in al-Bab with more than 50 airstrikes, taking fighters off the battlefield, destroying [vehicle-borne homemade bombs], mortar and artillery pieces and denying the enemy use of dozens of vehicles, buildings, excavation equipment and weapons caches,” he said. The liberation of Bab also means Turkey now has secured its border from ISIS, the general noted. The United States, Turkey and coalition partners also are working together to support stabilization and local civilian governance in the Syrian town of Manbij, Townsend noted. “The coalition is committed to the security of Turkey and will continue to work in close coordination with partner forces and allies to deliver a lasting defeat to ISIS, which remains the greatest terrorist threat to the region and the world,” he added. 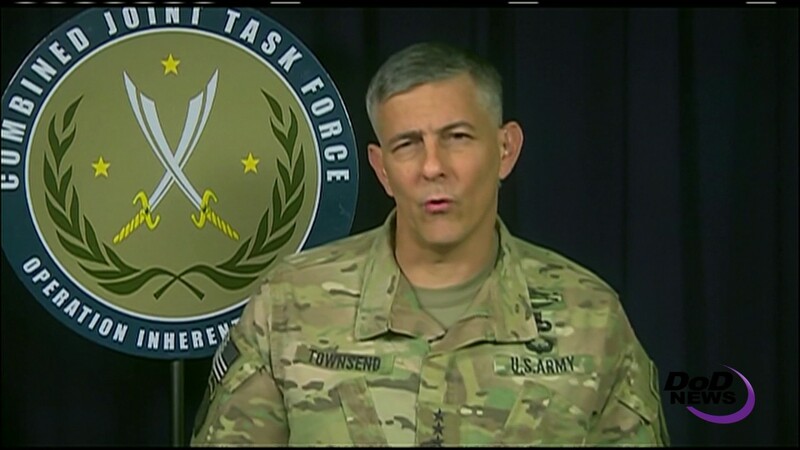 The coalition continues planning for the eventual liberation of Raqqa, ISIL's self-proclaimed capital, Townsend told reporters. “We are confident that the [Syrian Democratic Forces] that are isolating Raqqa will continue their recent successful clearance operations and set the stage for the liberation of the city. This would be a major setback for the enemy,” Townsend said. “We've continued discussing how Turkey and their partner forces might contribute to the liberation of the city,” Townsend acknowledged. “The liberation of Raqqa will bring an end to the enemy's mythology that they were ever more than a brutal, murderous terrorist group. And then, we will continue working with our partners to deal them a lasting defeat,” he said.